Celebrating 30 Years! – Chesapeake Chapter U.S.L.H.S. 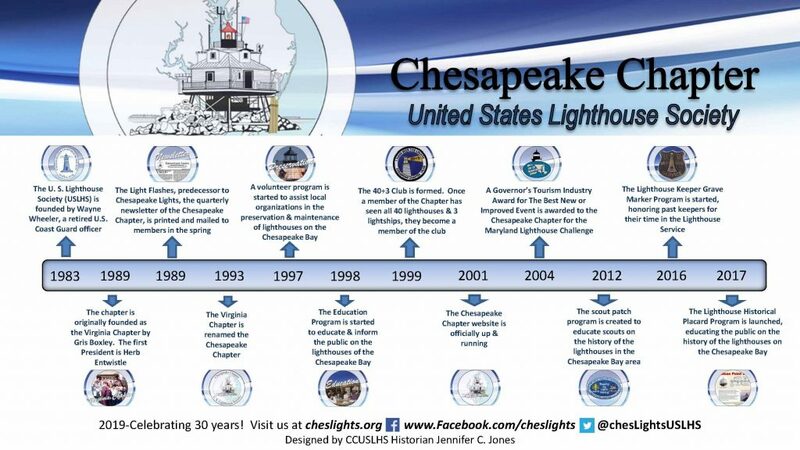 encouraged lighthouse enthusiasts to form local chapters under the USLHS. On March 18, 1989, 30 people met in Louisa, Virginia. This first meeting resulted in the establishment of the Virginia Chapter of the USLHS where Herb Entwistle became the founding president of the Chapter. In 1993, the Virginia Chapter became the Chesapeake Chapter of the U.S.L.H.S. 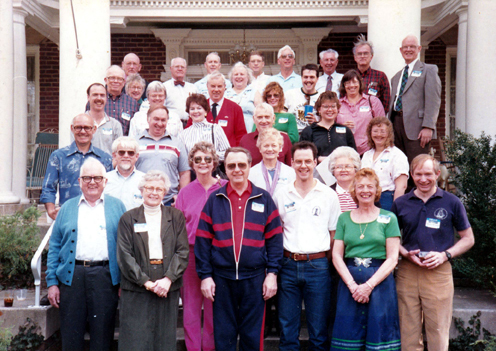 The charter members of the Chesapeake Chapter, March 18, 1989. We are so appreciative of our members, if you are not a member of our Chapter, please join us to make the next 30 years great! Become a member here.